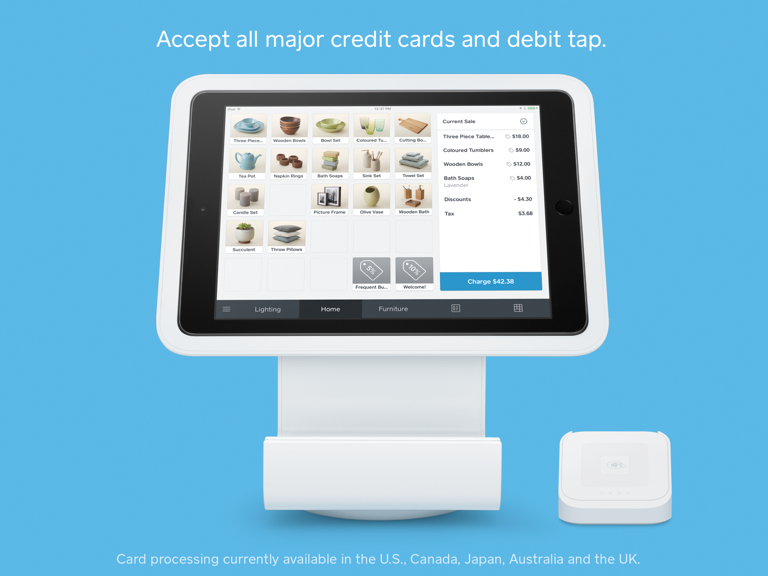 The Square contactless and chip reader connects wirelessly to your iPhone or iPad and lets you accept NFC transactions (like INTERAC Flash and Apple Pay) and chip credit cards on the go. Or you can add it to your Square Stand to complete your countertop. Contactless (NFC) payments take just seconds—customers simply hold their card iOS device near the reader to trigger payment. 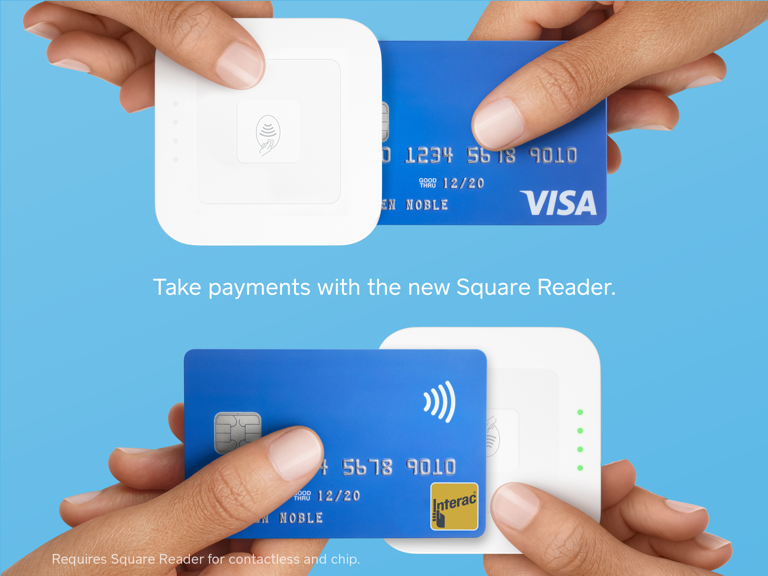 Insert chip cards into the reader and leave in place for the duration of the sale. 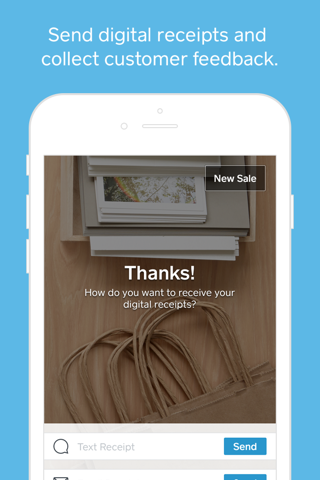 You can connect both readers to your device simultaneously, so you can keep swiping magstripe cards as long as your customers are carrying them. Does the deposit happen instantly? 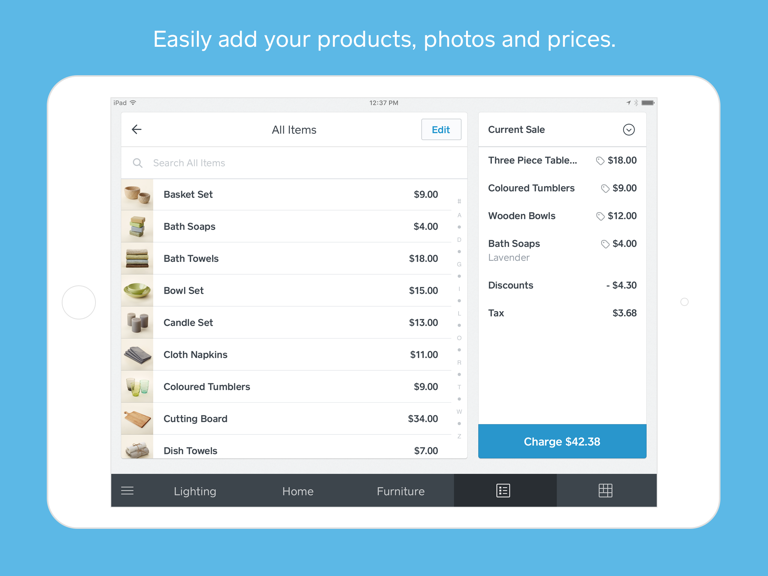 Square Point of Sale (formerly Register) is the free point-of-sale app that gives you everything you need to run and grow your business. 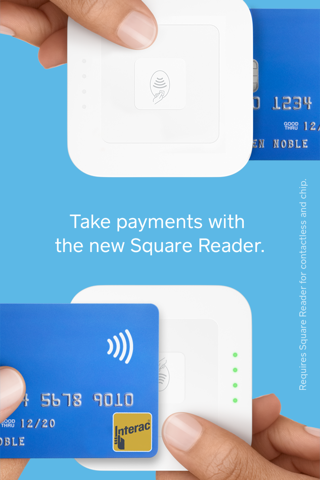 Accept contactless credit and debit cards, chip credit cards and mobile payments with Square reader for contactless and chip, or magstripe credit cards with Square reader for magstripe. 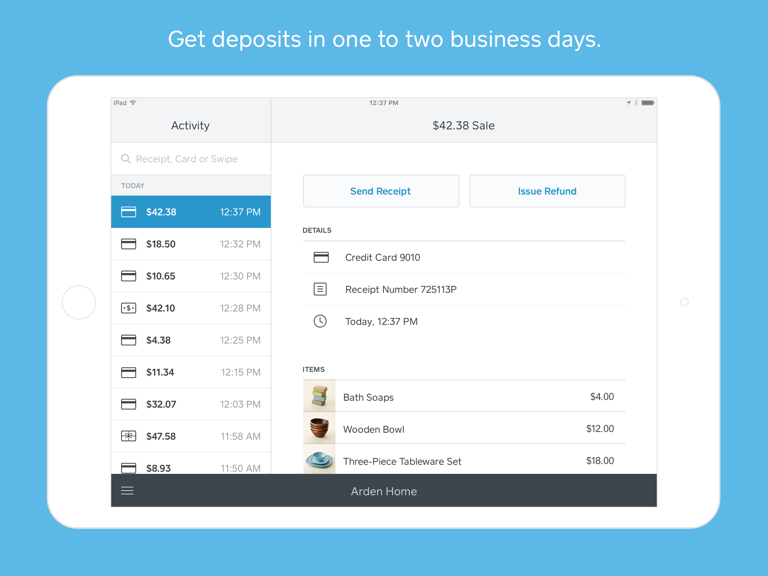 Funds are deposited fast—see money in your bank account in one to two busines s days. Use your POS to keep track of sales and inventory in real time, manage items and employees, and view analytics about your business. All this with no long-term contracts or surprise fees. 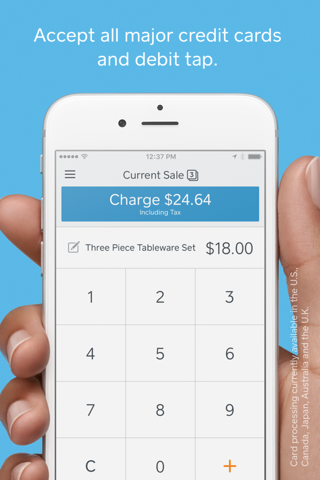 Square Point of Sale has everything you need to start, run and grow your business from your iOS device. Get the latest processing features for your merchant terminal with regular app updates. 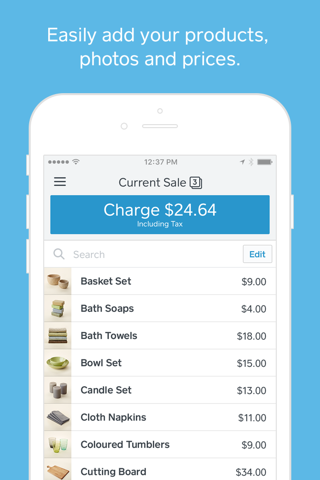 The free Square Dashboard app works in sync with Square Point of Sale and lets you view your live sales data in seconds. You can access powerful analytics and easy tools to help you track and improve your business. 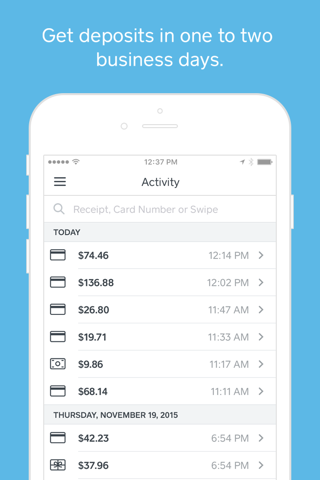 Send invoices free from Square Register and get paid faster. Customize your invoices, set up weekly or monthly recurring invoices from your Dashboard, and let customers pay online with a credit or Visa debit card. 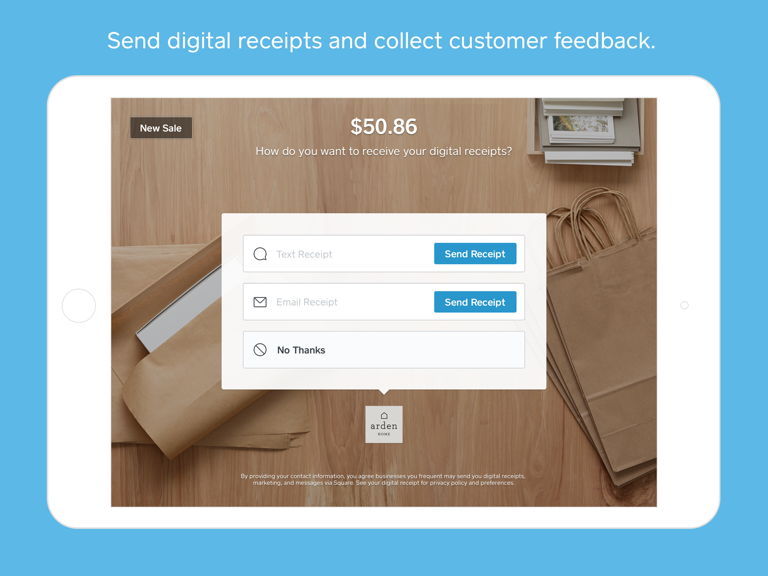 Invoices are free to send and cost 2.9% + 30¢ per invoice paid online. Charge $100, see $97.35 in your bank account. Accept Visa, Mastercard, Discover and American Express cards all at the same rate. Limit of $100 per INTERAC Flash® payment. Chip debit transactions are not accepted at this time.